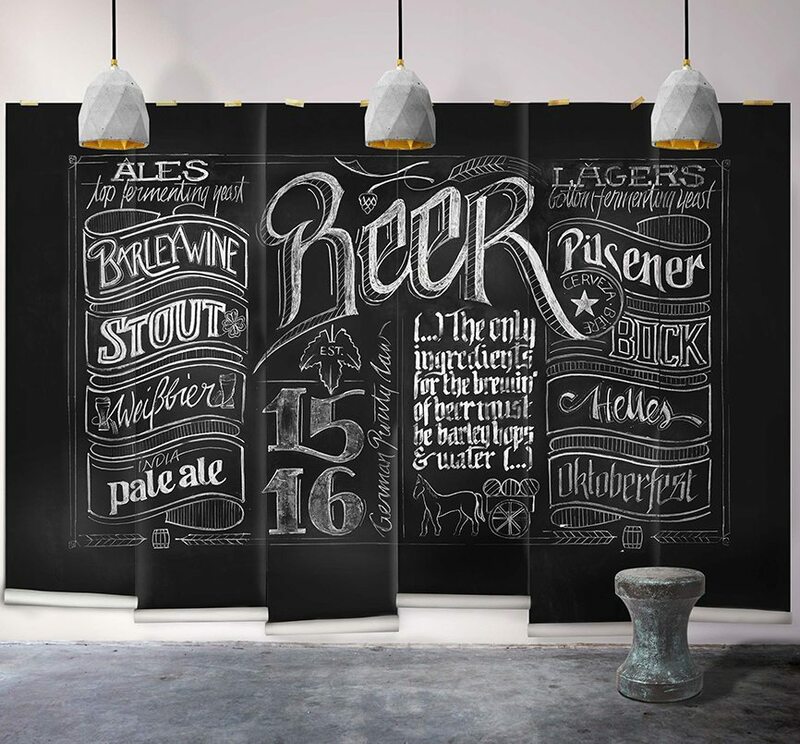 Lisa Nemetz is a 23 year old graphic designer and lettering artist, specialising in branding but with a keen interest in all things visual. 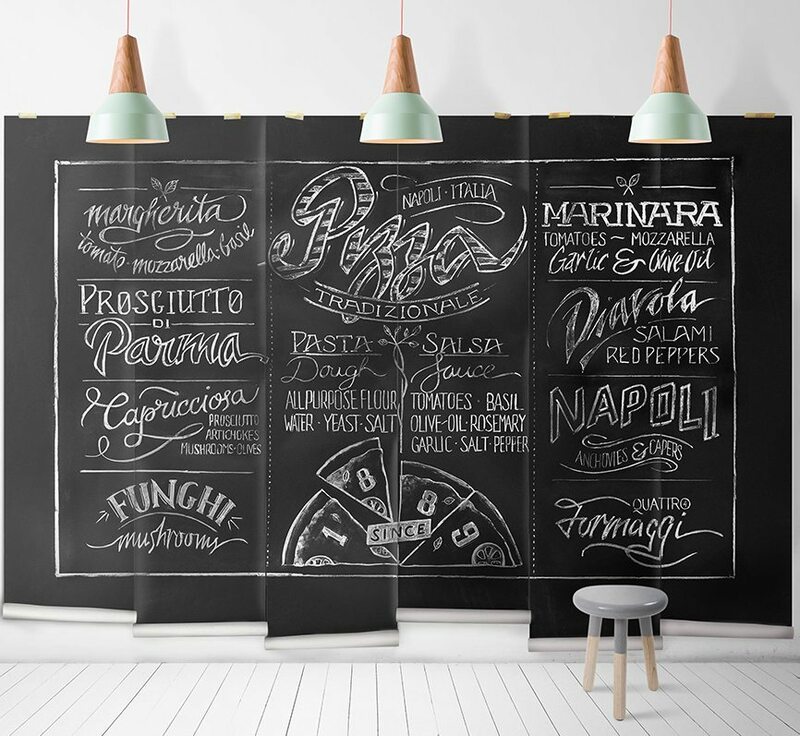 Her range of chalkboard murals in Wallpaper Republic are a mouth watering ode to some of the finer things in life. 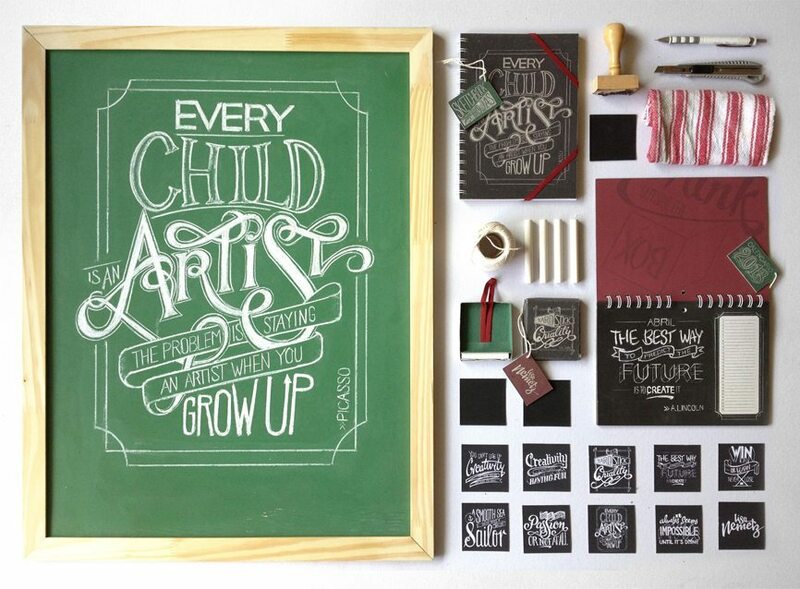 An adept typographer, Lisa’s work is engaging, handcrafted and oozes personality. She was kind enough to answer a few questions for The Paper Mill. I was born and raised in Germany, lived in Argentina for 6 years and have now been based in London for over a year. 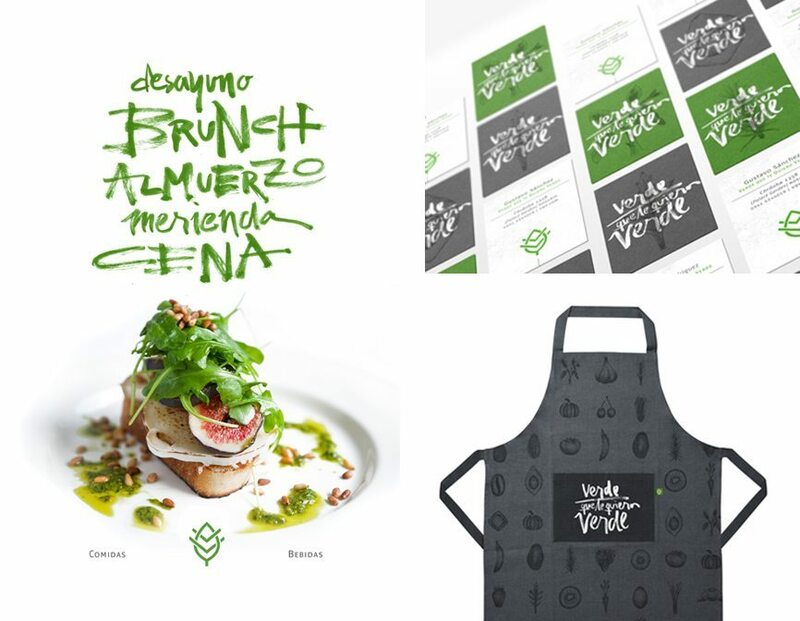 It was during my time in design school in Argentina that I became really passionate about typography and design in general, so I think when it comes to my personal projects, my way of approaching lettering and calligraphy is clearly influenced by the Argentinian and Latin-American design scene. Other than that I try to absorb and observe everything that surrounds me, all the time. Whether it’s browsing design-blogs online or just walking through the streets with my eyes wide open. I’m mainly a graphic designer specialising in branding but I do enjoy working with my hands and being a bit more experimental on personal projects. Like I said, I love working with my hands, trying out new techniques and creating things with real personality. Lately I’ve been getting into calligraphy a lot more, mostly working with brush pens and fountain pens. I’m currently working full-time at a branding agency in London with a few projects of my own on the side. I don’t have a clear 5-year-plan to be honest, but I can see myself having my own design studio at some point – probably a bit further along though.  Until then I want to gain as much experience as possible, explore different areas within the design-field and get better at what I do and love every day.